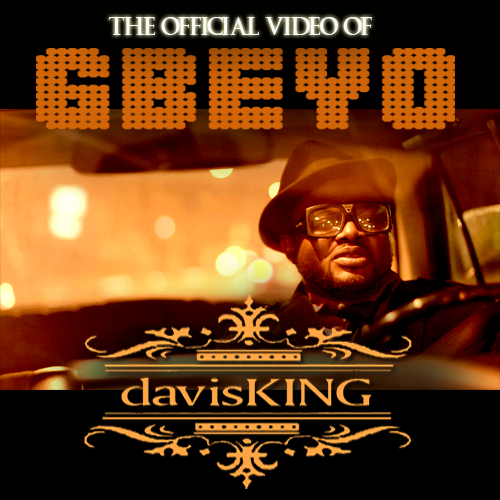 DavisKING is a seasoned gospel artiste under Vista E.C. record label. He's the crooner of the single hit titled 'GBEYO'. GBEYO is a Yoruba phrase that means 'to show forth’ or ‘to manifest'. This new video, directed by ace cinematographer, Yinka Obebe of Redbox Studios takes you way back to the 70s yet still garnished with pure creativity, it is a colorful old school concept. The lyrics sung on a groovy beat projects the certainty of an eventual manifestation of the sons of God (Romans 8:19).